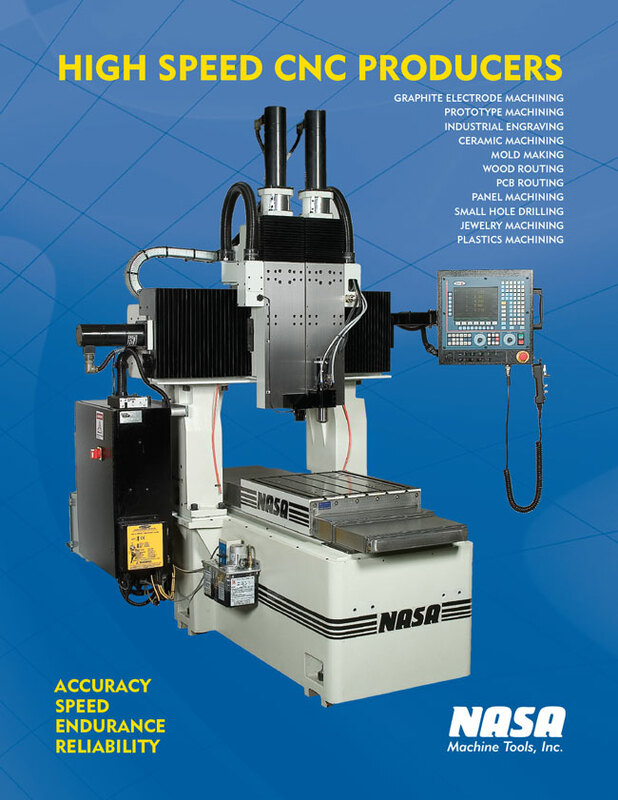 Moore Jig Grinder Rebuild, CNC Integrations and Upgrades | NASA Machine Tools, Inc.
NASA Machine Tools has been rebuilding and converting Moore jig grinders into CNC, continuous path machines since 1985. 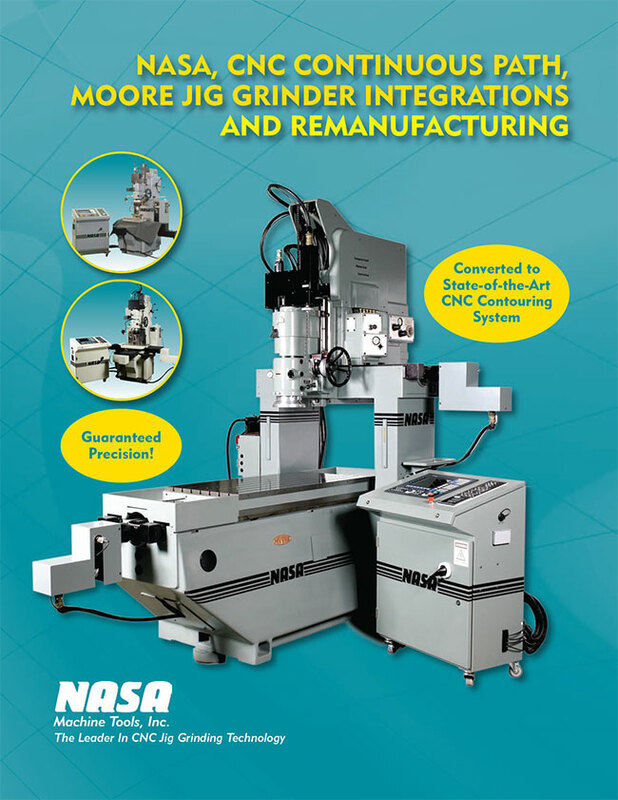 Utilizing existing Moore jig grinders, including No.3's, G-18's, G-32's, G-48's, series 1000's, and existing Moore CNC's , NASA completely remanufactures, and converts your existing machine, into a state-of-the-art, CNC continuous path system. 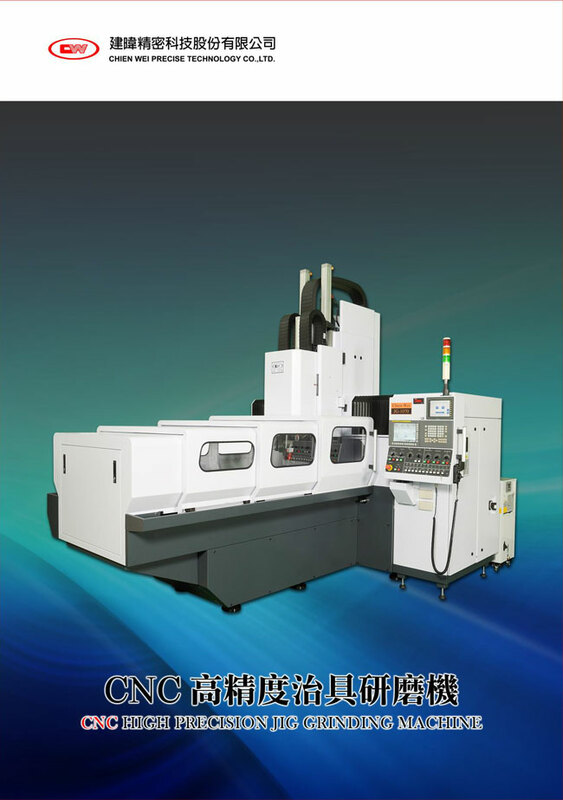 With the successful integration of specialized components, part tolerances and finishes in contouring, and point-to-point jig grinding of holes are achieved well within the standard tolerances for CNC jig grinders. Each machine that is remanufactured in our Lincoln Park, NJ facility, is guaranteed to be as accurate as any new machine offered, and carries the original equipment manufacturer's specifications. Rebuilding and converting your existing Moore jig grinder is more cost-effective than replacing it with a new machine. 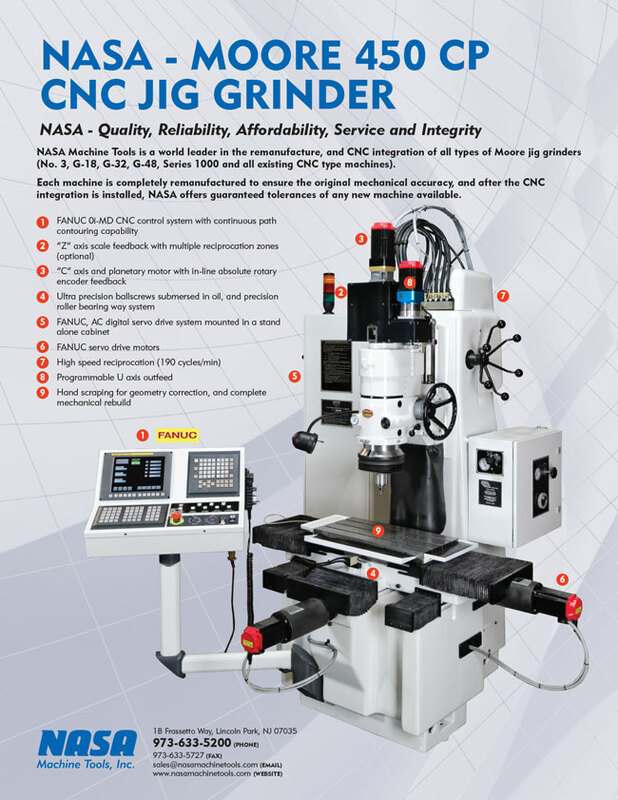 Our many years of experience in rebuilding and converting them to CNC, continuous path machines together with our goal of providing the most economical pricing in the field make us the first choice for all of your Moore jig grinder needs. We offer quality, reliability, accuracy and unsurpassed service and support, at a price you can afford, so contact NASA today.